wraps in no time. Perfect for dinner at the table or on the way to practice! School has officially started here which means it's time to go, go, go! My youngest is playing varsity football so after a full day of school he immediately has a couple hours of practice, then comes home starving. Sound familiar? I try to prepare meals ahead of time as much as I can, and I especially look for meals that are quick and easy to make. 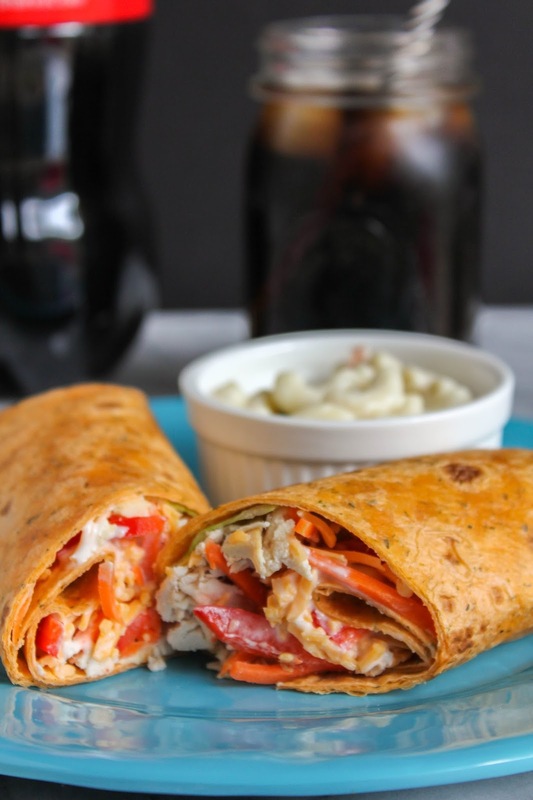 These Effortless Chicken and Veggie Ranch Wraps are one of our family favorites, and I have the Effortless Meals available at Walmart to thank for that! 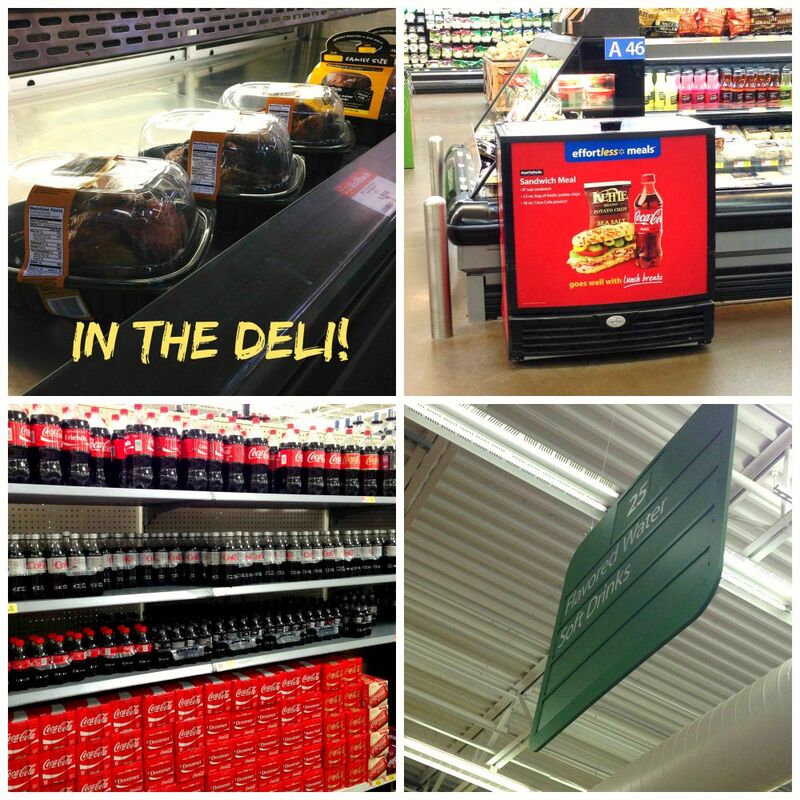 The deli at Walmart offers Effortless Meals solutions including Marketside rotisserie chickens and Marketside pizzas. These are perfect for busy families on the go! 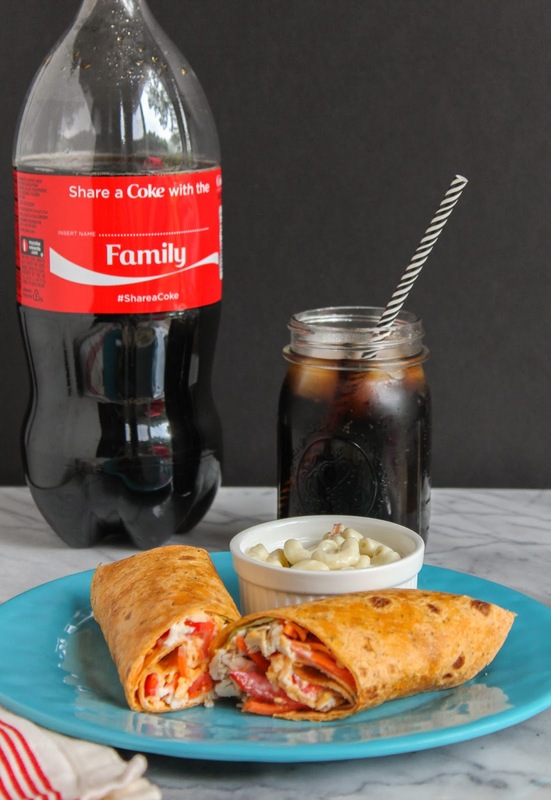 I love using rotisserie chicken for so many things, but it's especially perfect in these wraps. I also like to pair my wraps with the Walmart deli macaroni salad - it tastes just like homemade! 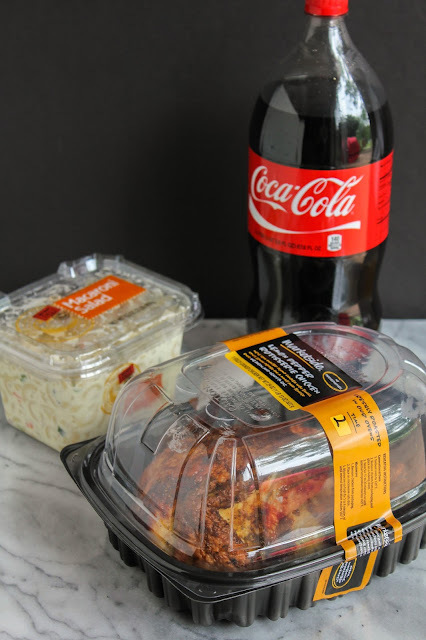 It's great because the Rotisserie Chicken meal includes a side as well as 2 liter Coca Cola product, so I had everything I needed for dinner! The first thing I do when I buy my rotisserie chicken is take all the meat off the bones. I find it's just easier to get that out of the way first, pack all my meat in an airtight container, then I have it to use whenever I need it! These wraps are so quick and easy to make, and they are portable too! If you have a night where eating in the car is required, this is the meal for you. You can make the wraps ahead of time and wrap them tightly, then take them with you on the go. No fork required! Layer all of the ingredients onto a wrap (I love the sun dried tomato flavor), top with ranch dressing, roll up tightly, slice in half on the diagonal and voila! Serve the wraps with a side of macaroni salad and you've got a delicious, hearty and healthy meal that the whole family will love! 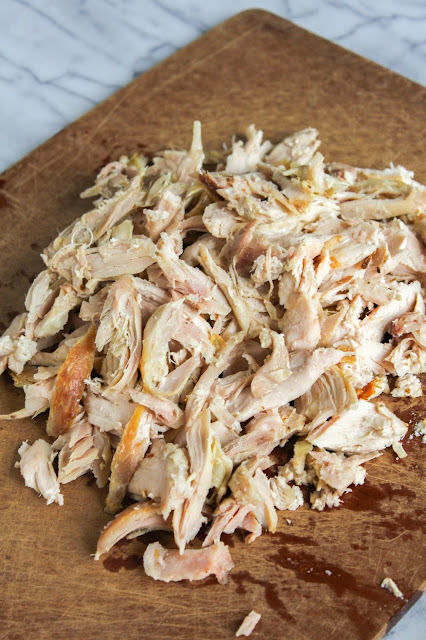 Remove the chicken from the bones and shred it. Lay the wraps out flat on a work surface. 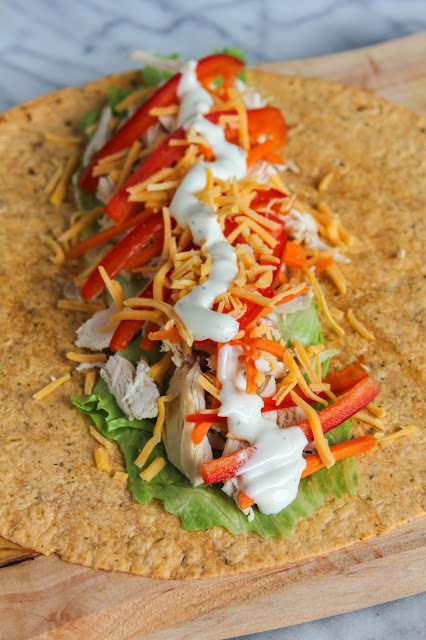 Layer the lettuce leaves on the bottom, followed by a generous handful of shredded chicken, then pepper slices, carrots, and shredded cheese. 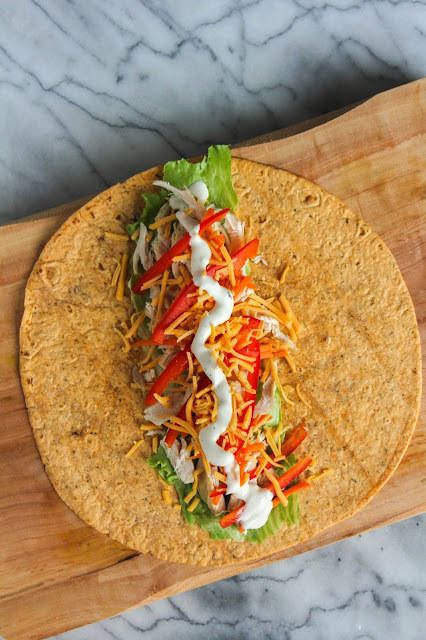 Drizzle ranch dressing down the middle of the wrap. Fold the center ends over the ingredients, then roll up tightly from one side to the other. Cut in half on the diagonal and serve. Have you purchased any of the Marketside Effortless Meals from Walmart before? What is your favorite? Or what would you like to try? When you walk into the Deli at Walmart, you'll notice right away the Effortless Meals red signs, just like the one below! They'll direct you to where you can find the different meals that they offer. And not only do they have the dinner meals, but they also have delicious sandwich meals, perfect for lunch, that come with a bag of chips and a 16 oz. Coca Cola product. There is definitely something for everyone!